Kevin Awino will captain the Lady Cricket Cranes next month in Netherlands at the T20 Global Women’s qualifier. The Cranes will face off with seven other national team sides at the global show piece qualifiers. 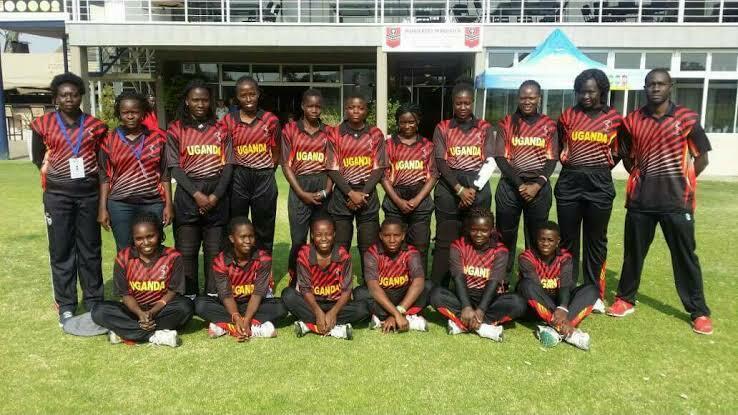 The Lady Cricket Cranes defeated Zimbabwe in a tight final in Windhoek, Namibia late last year to be crowned African Champions and in process, earn the privilege of representing Africa at the tournament. There were no surprises in the side named by Uganda Cricket with Kevin Awino retaining her place as team captain and she will be assisted by Janet Mbabazi. The only absentee will be Naomi Kayondo who went for further studies to the United Kingdom (UK) and she will be reaplced by Prico Nakitende. The rest of the squad that was successful in Namibia remains with African MVP Gertrude Chandiru and Immaculate Nakisuyi who were selected on the ICC Global Development Squad are in the side and will travel to the UK after the qualifiers to compete with other selected players from the participating nations. The side will travel will fly out of Uganda on July 2 and have a few practice games in Netherlands before they take on Scotland on July 7 for their first game. Francis Otieno and Grace Mutyagaba are the coaches of the side with Lydia Bakumpe named as team manager.